Comfortable and beautiful Banmuller LAMA chaise longue made in 1970s in Germany. The chair is adjustable in height and has a removable footrest. 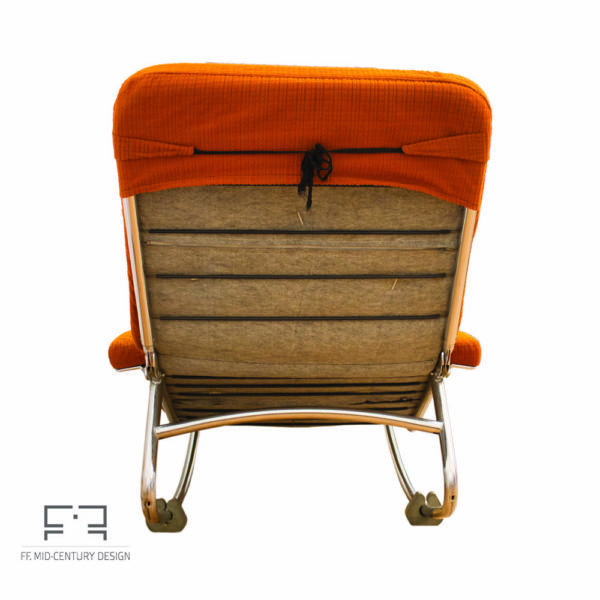 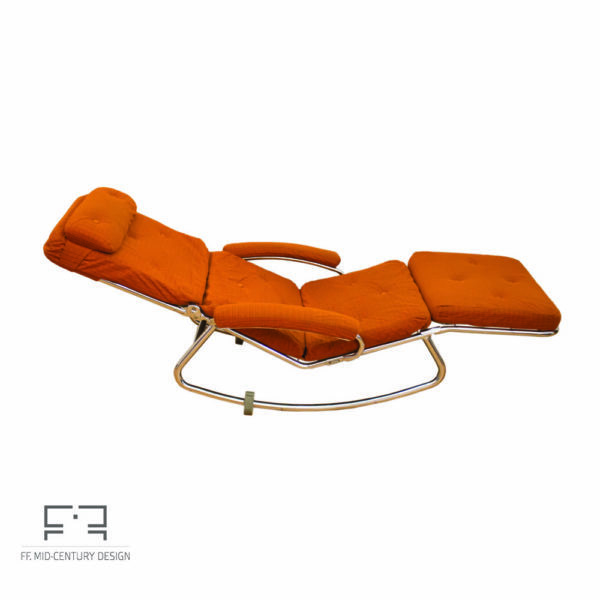 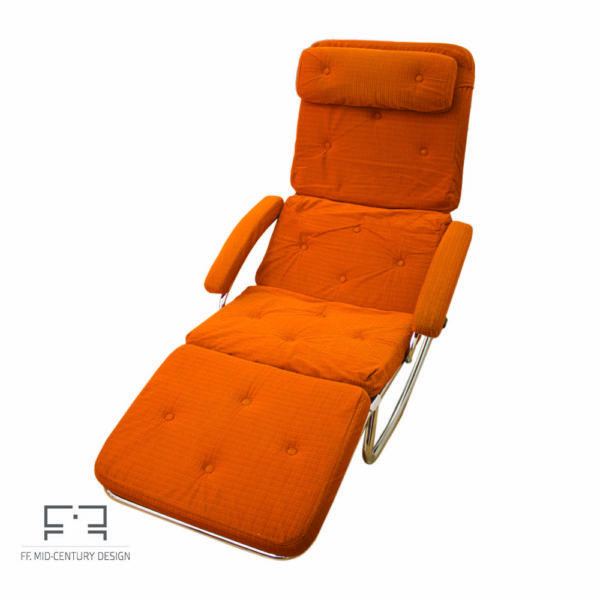 It is made of chrome tubular structure and features the original orange upholstery. 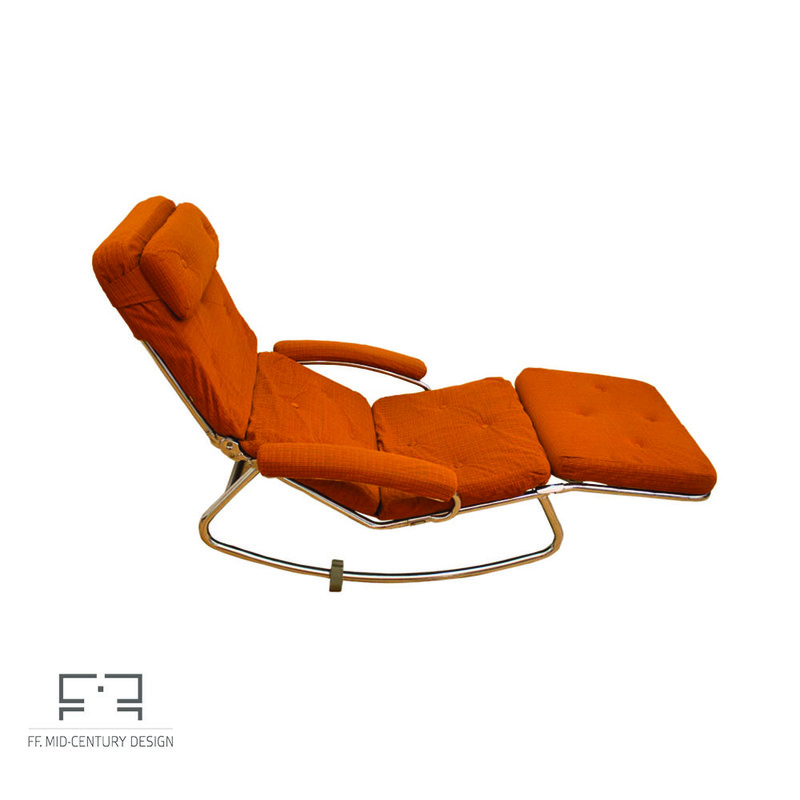 The chair is made by Baumuller with LAMA tubular bent metal chromed components made in Italy. 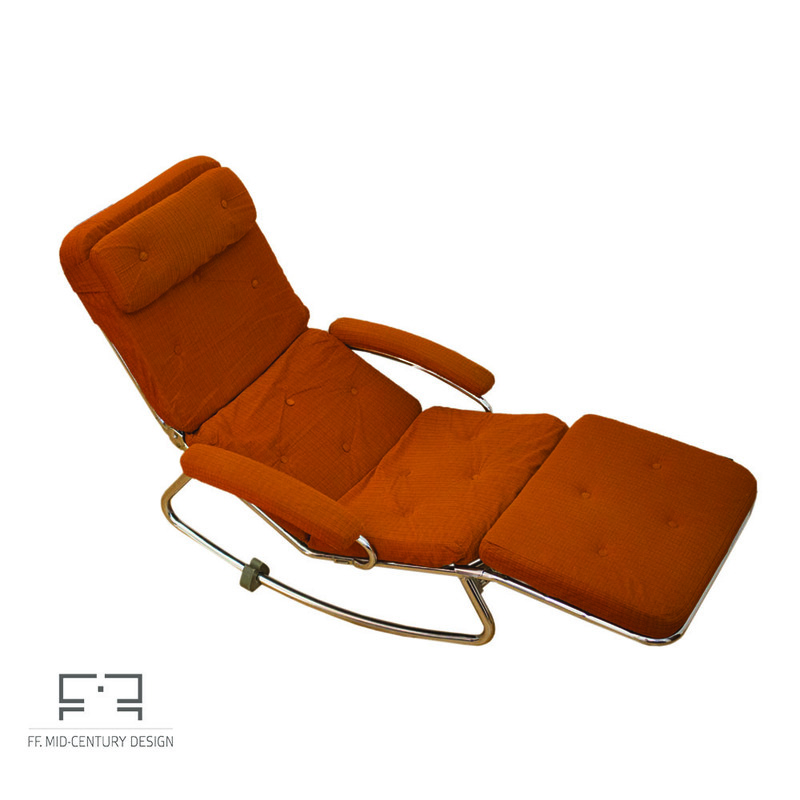 The item is in good vintage condition and shows only minor traces of use consistent with its age. 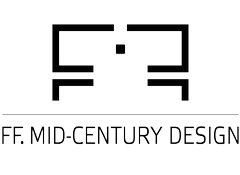 We are not infallible, so any information about our products is welcome! 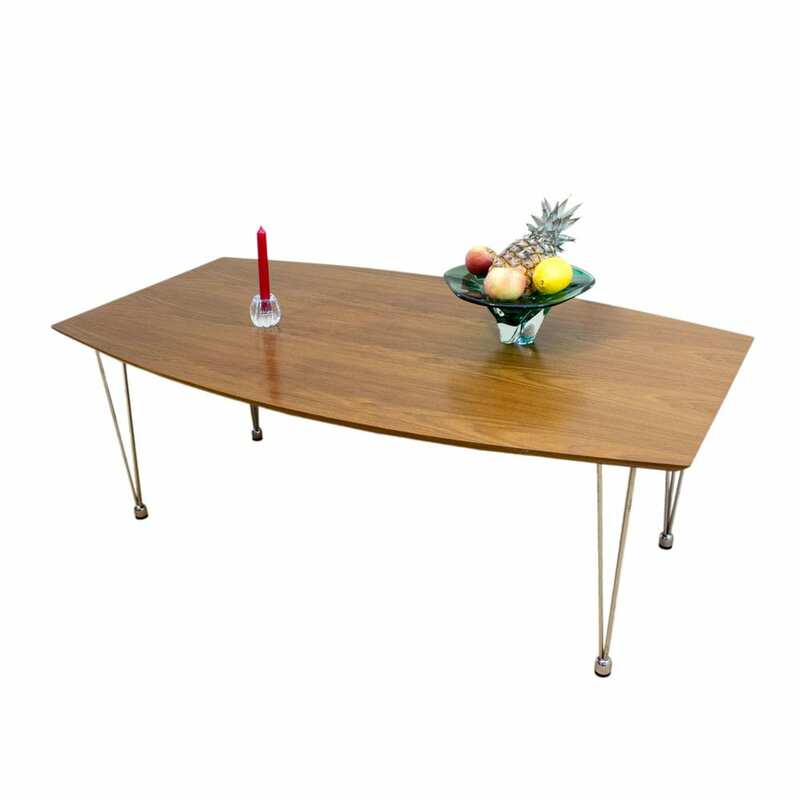 Elegant and practical Danish extendable Elevator coffee/dining table made of teak, in the 1960s. 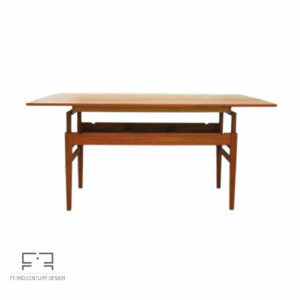 The table shows the elegant organic lines of Scandinavian Modern. 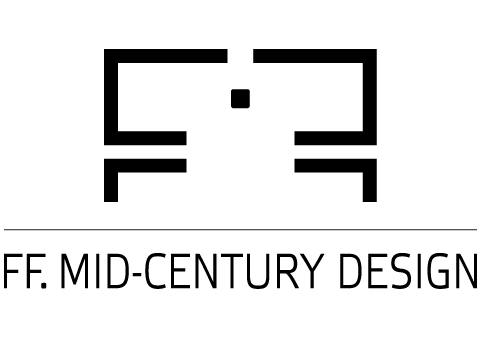 This table could be a great acquisition for any smart designed interior: when the tabletop is not elevated and extended, you will have a beautiful coffee table. 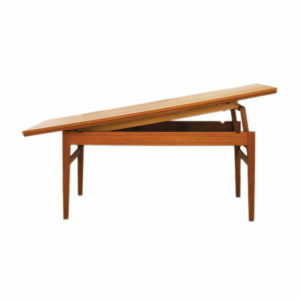 When the tabletop is elevated and extended, this item is a dining table. 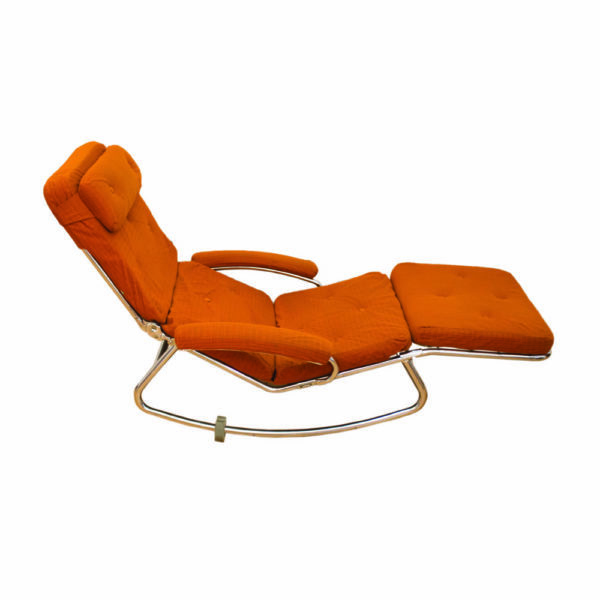 It is in very good vintage condition, with no defects and has it's original "Product of Denmark" stamp. 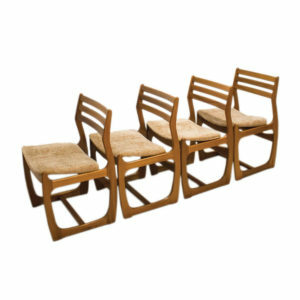 Set of 4 Mid-Century Portwood (United Kingdom) dining chairs made of teak. 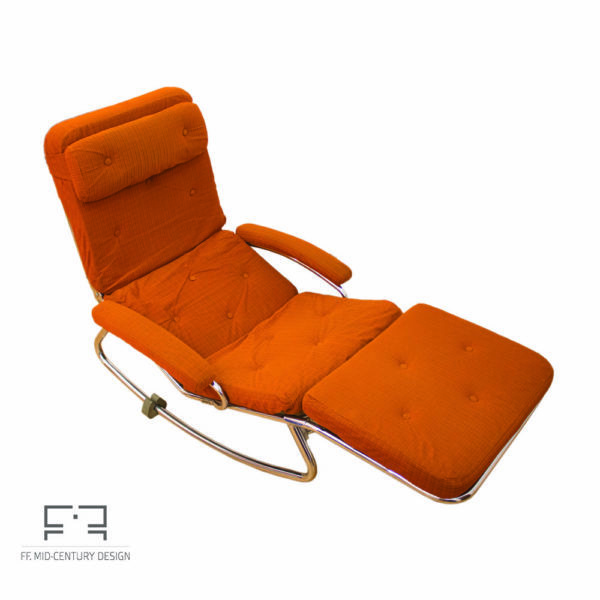 The chairs are from the 1960s and were representative for the Danish range of this iconic Manchester based manufacturer. 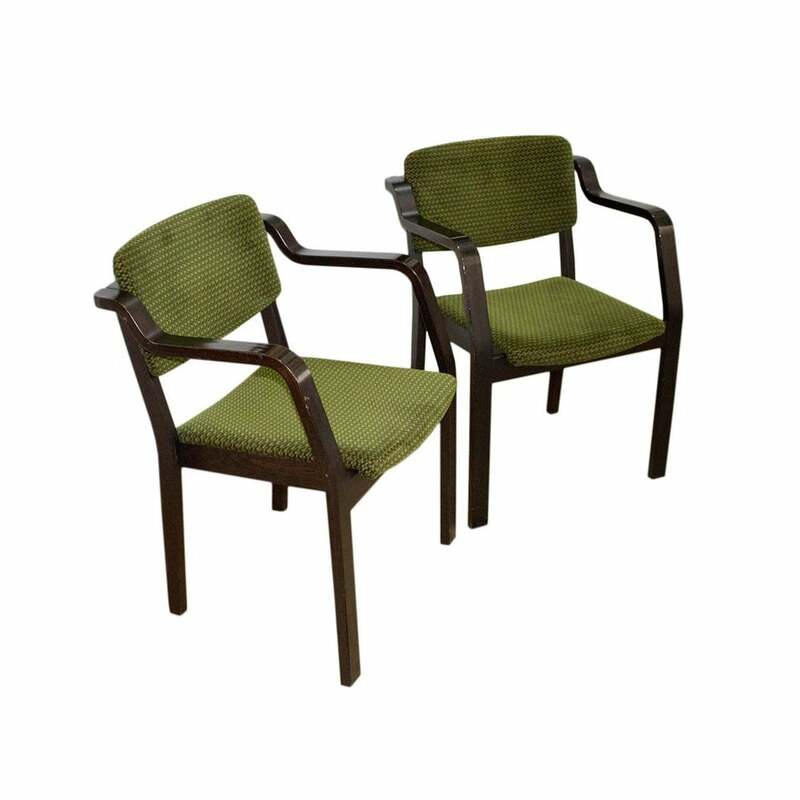 The chairs are in good vintage condition with just a few signs of wear, all visible in the photos. 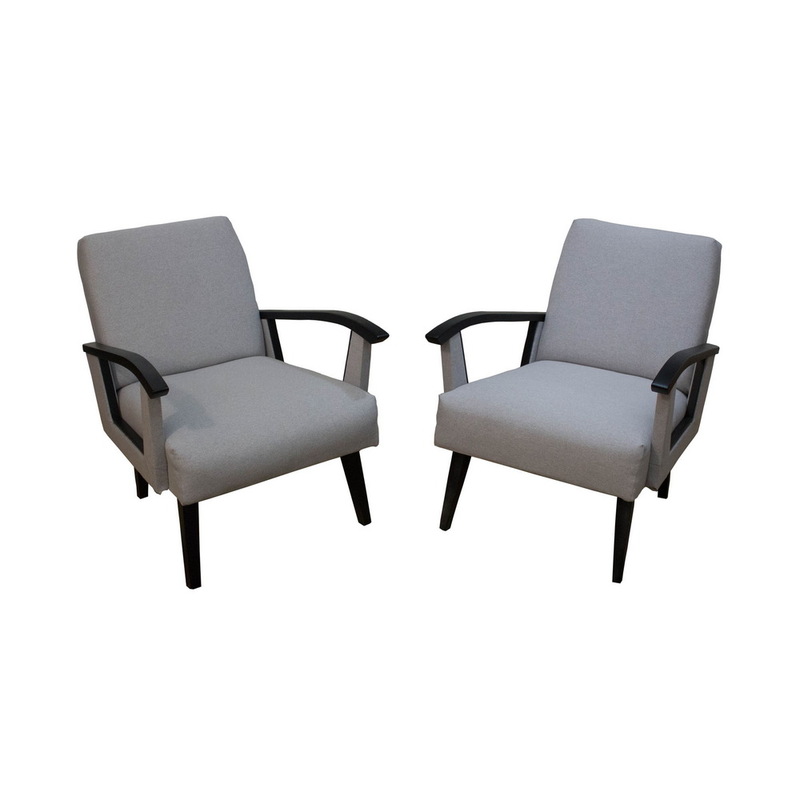 Beautiful pair of Mid-Century armchairs made in Belgium in the 1960s. 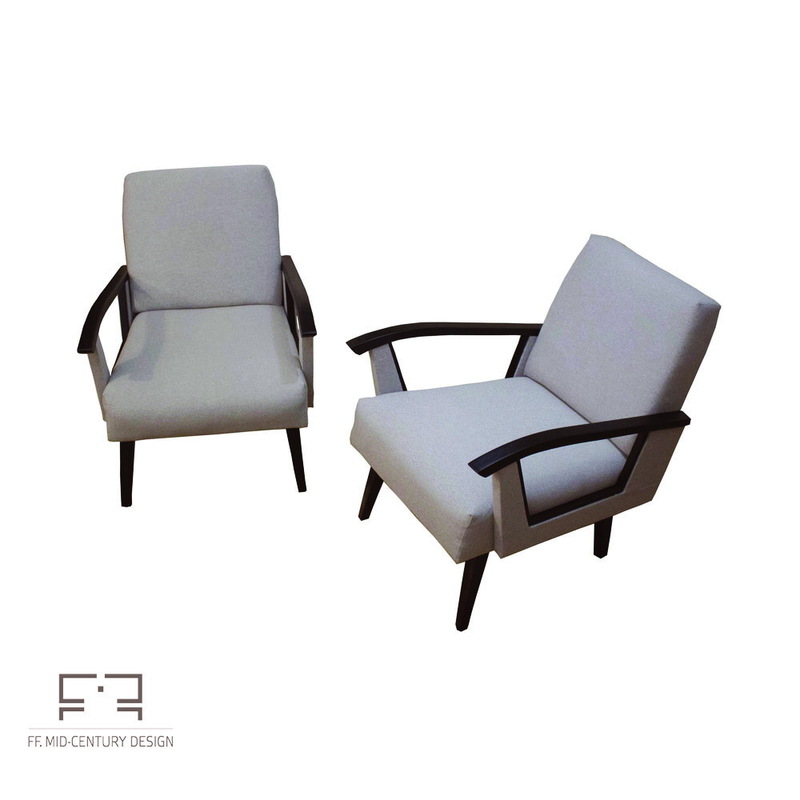 Displaying an elegant design line, borrowing characteristics from both Art Deco and modern aesthetics, this armchairs feature some very elegant legs and beautiful armrests made in wood. 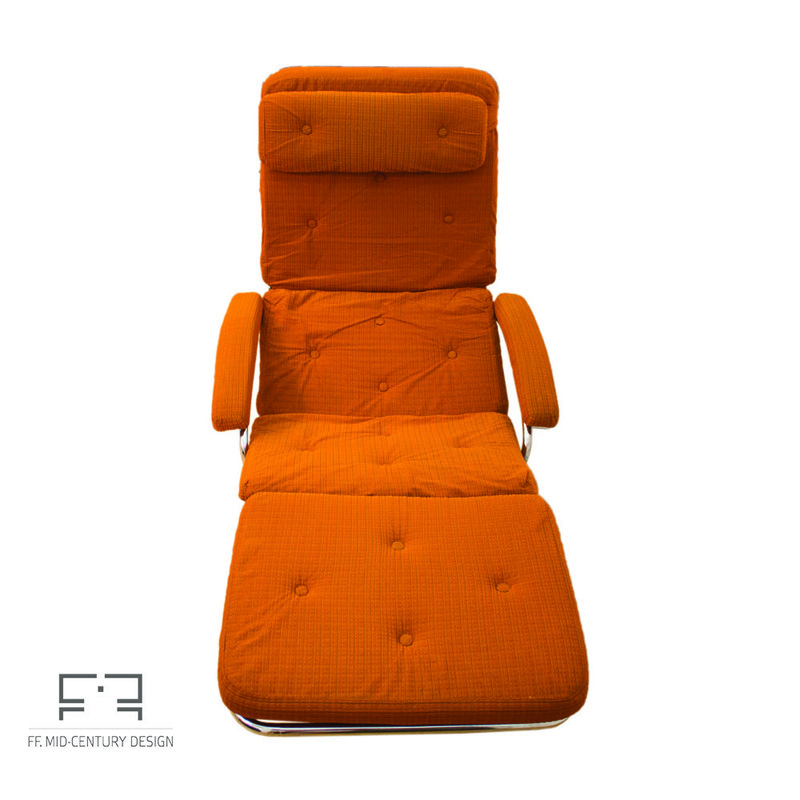 The armchairs have recently been restored and have new upholstery. 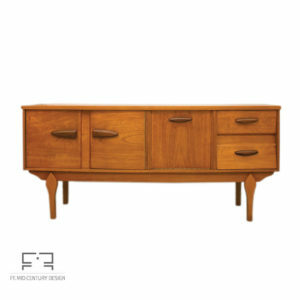 Beautiful teak sideboard made in the United Kingdom, in the 1960, by Jentique. The design of Jentique furniture followed the tastes of the times and the company did particularly well during the 1950s and 1960s, tapping into the hugely popular mid-century modern style inspired by Danish design. 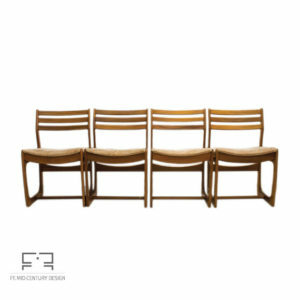 Today, teak Jentique furniture from this period has become an affordable collectors' item prized for being attractive, well-made pieces. 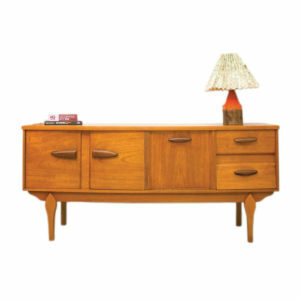 All of the drawers move smoothly, the cabinets door runs smoothly too. The piece is in good vintage condition with only small signs of use, all visible in the photos.